Coral reefs, massive underwater structures made of coral, are the largest structures of biological origin on existence in the planet, according to the U.S. Department of Commerce’s National Oceanic and Atmospheric Administration. But for anyone who has ever gone diving or snorkeling in coral reefs, these are magical worlds teeming not just with fish, but also with colorful and exotic plants. However, reefs themselves are not, as commonly thought, plants, but rather simple organisms called polyps. Algae is one of the most common type of plant found in coral reefs around the world, according to the Caribbean Conservation Society. This basic type of plant life supports the entire coral reef ecosystem by serving as a primary food supply. However, there are many type of algae that can inhabit a coral reef, from unicellular plants such as the zooxanthellae to those commonly referred to as sea weeds. Coralline algae and calcareous algae are two main types of multicultural algae that live in and around coral reefs. Coralline algae is made up of many fine, string-like filaments, which spread out over the reef surface in thin layers. Calcareous algae, on the other hand, grows upright. Beds of sea grass are commonly found in and around coral reefs. There are many types of sea grass, including turtle grass. 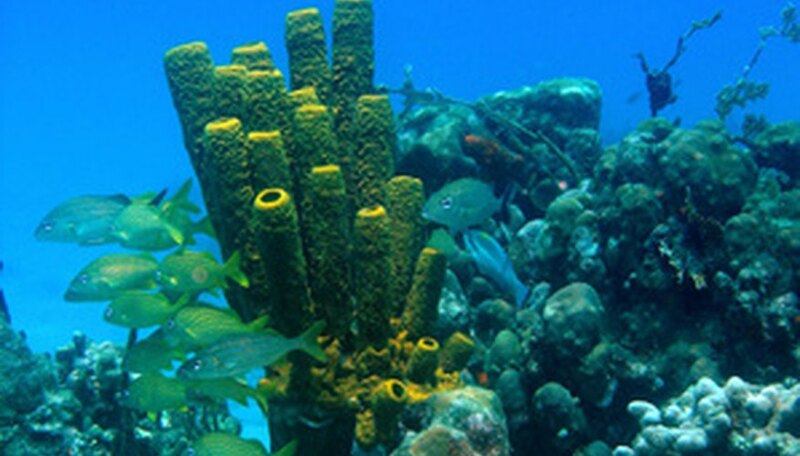 In the Caribbean Sea, three common types of reef sea grasses are turtle grass, manatee grass and shoal grass, according to the Caribbean Conservation Society. These are true flowering plants, unlike algae. They serve as a shelter for reef animals, such as young conch and lobsters, and tiny organisms often live in the leaves of the grasses. 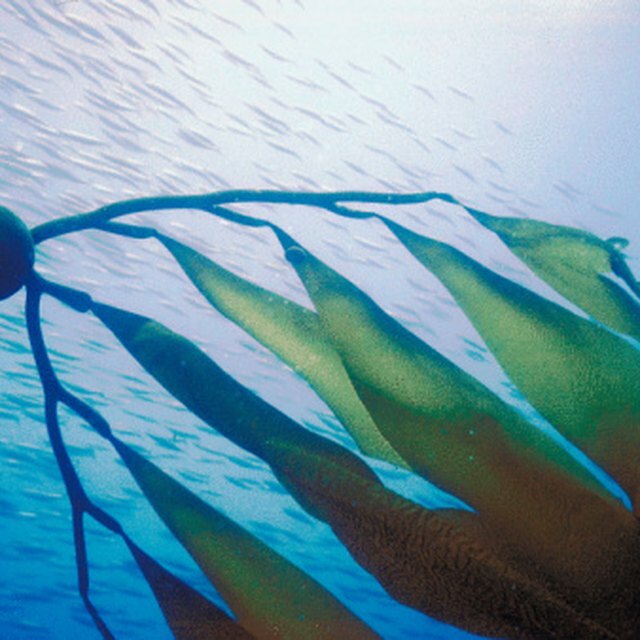 Additionally, these plants serve as food for many reef-dwelling fish. Since mangroves are shoreline plants, they are most often found on fringing reefs close to the shore, or in deeper reefs, at a distance from the main reef mass, notes the Coral-Reef-Info website. These plants have vast, stilt roots that project above the water surface to absorb oxygen from the air. Mangroves are important to the reef ecosystem because they serve as a barrier, creating a protected environment for the plants and animals that inhabit the reef. Thus, coral reefs with mangroves tend to have an abundance of life and diversity. Gomez, Cynthia. "Plants in a Coral Reef." Sciencing, https://sciencing.com/plants-coral-reef-6077567.html. 24 April 2017.